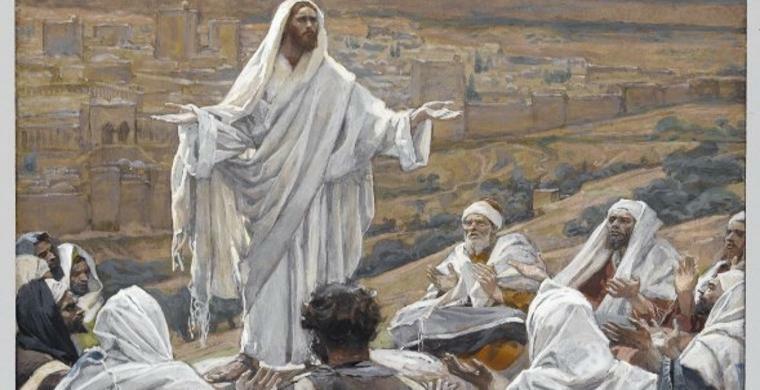 In a prayer Jesus taught his disciples in Matthew 6:9-13, Jesus has asked them to address God their heavenly father. Writing about this prayer in my last post, The Lord’s Prayer—Our Prayer, I have helped to show that the Prayer which has come to be known as the Lord’s prayer has a threefold purpose or significance. First, it is a prayer that we can use in both our private and public worships. Second, the prayer also gives us a guidance to prayer, how we ought to prayer, thus giving us, the main prayer points we may consider in our prayers. Thus, it is a prayer template. Lastly, as any other biblical text, we can draw theological lessons on several subjects from the words of this prayer. “If you want to judge how well a person understands Christianity, find out how much he makes of the thought of being God’s child, and having God as his father. If this is not the thought that prompts and controls his worship and prayers and his whole outlook on life, it means he does not understand very well at all”—J. I. Packer. Speaking to Nicodemus, a member of the Jewish ruling council, Jesus states that one ought to be born again to become a member of the kingdom of God—our heavenly family. He explains this new birth in these words, “Flesh gives birth to flesh, but the Spirit gives birth to spirit” (John 3:5). We are also born into this heavenly family by adoption (Rom. 8:15, Gal. 4:5, Eph. 1:5). The new birth in Christ is “accomplished by God’s Spirit when a person expresses personal faith in Jesus as one’s only hope of forgiveness of sin and life in heaven… A person is outside the family of God unless he is spiritually reborn” (Our Daly Bread). Knowing that we are God’s children builds our relationship with him, knowing that God is our father gives us the boldness to approach his throne of Grace with confidence in our prayers. By calling God our Father in our prayer, “We need to remember that it’s a bold form of address to God. And Jesus has given us the nerve to call God Father and you sometimes hear it introduced as “as our saviour has taught us we take heart and say”, we sort of summon our strength and resource and, yes, we have the confidence to say these words” (Rowan Williams). When we know that God is truly our father, we shall always be motivated to pray for His will be done here on earth as in heaven. We shall not only be motivated to pray so, but we shall also see ourselves as God’s agents to have His will done on earth. So, we avail ourselves as instruments to proclaim God’s kingdom and do what His kingdom expects of us while here on the earth. Knowing that God is our father gives us further confidence in His providence and protection upon us. Although the modern society is trying to break gender roles, in many families, fathers are still responsible for the provision of daily needs and protection of the family. Unlike some earthly fathers who may neglect their duty, unlike earthly fathers who may not give a full protection and provision, God’s care and protection never fails. He owns everything in heaven and on the earth, so he lacks nothing He cannot fail to provide for us. He is omnipotent—He has all powers to give us an assured protection. We only need to know that God is our father and relate with him in this sense. Furthermore, knowing that God is our father gives us courage to seek his forgiveness of our sins. We often sin in our words, thoughts, deeds and the things we fail to do. His promise is that if we confess our sins, he is righteous and just and will forgive us our sins and wash us from all unrighteousness (1 John 1:8-9). As our Father, He has also commanded us to forgive the sins our fellow mankind commits against us. Our knowledge of Him as our father should help us to obey his command—to forgive others of their sins against us. By His Grace, God has already given us His Spirit to regenerate us, to give us new birth. He has given us his Son Jesus Christ whose atoning sacrifice offers us a chance to become new creation. For in him, the old is gone and the new has come. We only need to accept and believe in him (John 1:12) such that we enjoy the right to be His children. I rejoice and praise God for the new life He has given me in Christ, for the place of sonship through His Son Jesus Christ. I equally rejoice for you who has received this Grace and become a child of God. Praise the Lord! And, I pray that His Love that makes us his children shall be revealed to all men so that we can boldly address him: Our father in heaven. Amen! Rev. Julius Izza Tabi a Lecturer at Uganda Christian University is the founding Director of this online New Dawn Ministries. He holds a Master of Philosophy in Religion, Society and Global Issues from the Norwegian School of Theology. Julius also is a pastor in the Anglican Diocese of Ma’di and West Nile of the Church of Uganda who believes that God’s timeless truth of salvation must be preached to all Nations. Help Donate here to support the New Dawn Ministries. You can also support this ministry by purchasing Julius’ popular books Triumphing Over Odds and Suffering and Pain? from Amazon. Thank you.